EDINBURG — Knowing UT Arlington was coming into Edinburg on a two-game losing streak, UTRGV coach Lew Hill told his players to expect the Mavericks’ best performance. The challenge was to match their intensity. UTA scored the game’s first 10 points and consistently beat UTRGV in transition and on the boards, cruising to an 86-65 win at the UTRGV Fieldhouse. Kevin Hervey led Arlington with a season-high 30 points and a career-high 16 rebounds. He connected on 13 of 25 shots for the game, including an 8-of-10 mark during the second half, to go with four assists against just two turnovers. Leading up to the game, Hill said UTRGV was focused on limiting either Hervey or point guard Erick Neal, who is averaging 13.8 points and an NCAA-best 9.4 assists per game. But even with Neal out of the lineup on Saturday, UTRGV was unable to contain Hervey. UT Arlington outscored UTRGV 36-16 in the paint, and Stallworth attributed many of those struggles to the Vaqueros’ press. UTA entered the night averaging 15.4 turnovers per game, but UTRGV forced just 14 despite consistently attacking and pushing the tempo. The Mavericks also won the rebounding battle 53-38, proving especially potent on the defensive glass. 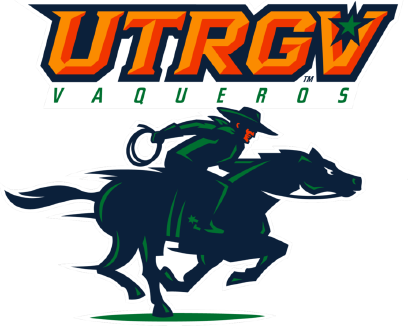 The Vaqueros pulled in just 8 of 47 offensive rebounding opportunities — a 17 percent rate that ranks as UTRGV’s worst this season. That mark, coupled with a 37.7 shooting percentage, 17 turnovers and a 58.4 percent night at the free-throw line, contributed to UTRGV’s least efficient offensive performance this season. Minutes before tipoff, UTRGV announced that freshman point guard Javon Levi had been suspended for two games for violating the student-athlete code of conduct. Levi had played in all 12 games for UTRGV this season, starting eight, and averaging 2.7 points and a team-best 3.7 assists per game. He typically serves as the team’s primary ballhandler and is regarded as one of UTRGV’s best defenders.